Discover Middle Grade and Children's Books that your Kids will Love! Delilah Dusticle has special powers. She can completely eradicate dust. With her quiver pouch of special dusters, she is soon promoted to Chief Dust Eradicator and Remover at the Fenchurch-Whittington House. Until one day, a broken heart leads to her powers taking an unexpected turn. This is a touching and charming tale about the magic of friendship and self-discovery. Published by Nova Sky Books. "This is definitely a pleasure to read and the reader will end up wanting to read more of Delilah's crazy dust busting adventures!" Delilah Dusticle is back with an action packed mission. In this illustrated instalment, Delilah and the Dustbusters are invited to Transylvania, to cater for the Hallow Eve Ball. All is not what it seems and Count Dracula has a very unusual request. This is the second in a series of stories following Delilah and the Dustbusters on adventures around the world. Get ready to join the fun and experience the magic! Published by Nova Sky Books. 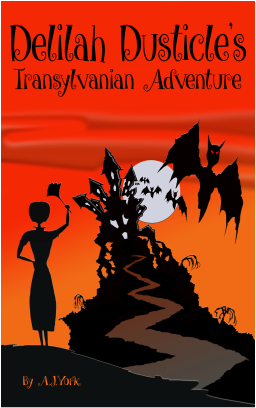 "Imaginative, magical and fun, Delilah Dusticle’s Transylvanian Adventure will entice and amuse all ages, in the tradition of good old-fashioned fantastical storytelling." In this exciting instalment, Delilah Dusticle and the Dustbusters travel to the vibrant and mystical land of India. On arrival, they are tasked with a quest to overcome a powerful curse and save a life. It soon becomes clear that it is Delilah, who must find the strength and the power to defeat the curse. This is the third in a series of stories following Delilah and the Dustbusters on adventures around the world. Fully illustrated and packed with adventure! Published by Nova Sky Books. Nominated for e Festival of Words Best Children's Book 2016! 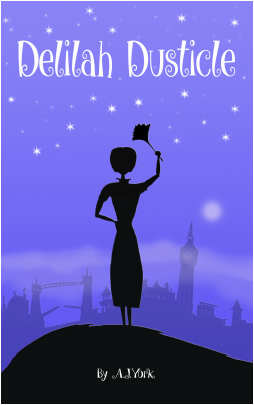 In the picture postcard village of Blossom Brook, Eliza Bluebell arrives changing the lives of the locals forever. With the help of her playful shadow, Eliza takes on an empty shop on the High Street and turns it into the heart and soul of the village. Find out how and read this fantastical story about friendship and fairy cakes. Published by Nova Sky Books. "This is the type of book I wish I had read more when I was younger, and it’s the type of book I hope to read to my own children some day." Upstairs in the Anderson’s attic there is chatter coming from the Christmas, Easter and Halloween boxes. Someone new has arrived. 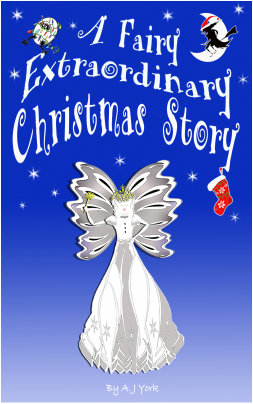 Tallulah the Christmas Fairy wakes to find herself attached to the top of a tree. She soon makes friends and has a magical first Christmas. Once the festivities are over, Tallulah finds herself in the attic with the other decorations from Easter and Halloween. Each year they watch the seasons change as they wait excitedly for their turn to go downstairs. Until one day new boxes appear and then the unthinkable happens. All books are available from Amazon, Barnes and Noble, Kobo, iBooks and other online retailers. Published by Nova Sky Books.